Plus, can Sean Dyche’s Burnley side earn an unlikely draw against Liverpool at Anfield? Chelsea are currently 10 points clear at the top of the Premier League. THERE IS ARGUABLY no player in better form than Harry Kane in the Premier League right now. The 23-year-old has an incredible eight goals in his last four games. Kane scored a hat-trick in the last round of the FA Cup against Fulham, and his confidence is clearly sky high. The only question is whether Mauricio Pochettino will opt to rest his main man, though with Spurs out of Europe and their next Premier League game more than a week away, there is every chance he’ll play from the start this weekend. League One side Millwall are unlikely to be able to match Tottenham’s ability and intensity in Sunday’s quarter final at White Hart Lane, and their star man is consequently expected to thrive. The last time Chelsea and Man United met at Stamford Bridge, Antonio Conte’s side ran out 4-0 winners. Jose Mourinho’s men have definitely improved following that setback — indeed, they haven’t lost a league game since. However, they have arguably also not come up against a side of the calibre of the league leaders in that period. For all the clinical brilliance of Eden Hazard and Diego Costa, the most impressive aspect of Chelsea’s game this season has been how well organised they’ve been — the London side have the joint-best defensive record in the league along with Tottenham. David Luiz, César Azpilicueta and Gary Cahill have all been magnificent at the back, while midfielder N’Golo Kante has been equally crucial just in front of them. Man United’s biggest problem this season has been breaking teams down — they have drawn too many games and have scored just 39 goals — every other side in top six has managed 50-plus. So against a side as defensively sound as the Blues, expect Mourinho’s team to struggle. Sergio Aguero has had a hectic schedule of late, starting three games in eight days for Man City. Pep Guardiola’s side have a vital Champions League second leg against Monaco on Wednesday, so it would be no surprise to see Aguero rested for Saturday’s trip to Middlesbrough. If the Argentine international is left in reserve, expect Kelechi Iheanacho to come in in his place. The 20-year-old Nigerian has had limited game time this season, with Aguero and now Gabriel Jesus (who is likely to be out injured for the remainder of the campaign) ahead of him in the pecking order. But Iheanacho remains a promising talent — despite being not being first choice, he has scored seven goals this season. Against a Middlesbrough team with other priorities on their mind, namely Premier League survival, the young forward could well be the difference between the two sides. Liverpool’s struggles against the weaker Premier League sides this season have been well documented. A sign of things to come was evident from the very start of their season — in their opening match, they went to Arsenal and won 4-3, only to get beaten 2-0 by Burnley in their next game. Jurgen Klopp’s side come up against the Clarets again this weekend, and are far from certain to prevail, despite having just earned a convincing 3-1 victory over the Gunners. Daniel Sturridge and Jordan Henderson have been ruled out while Roberto Firmino and Dejan Lovren are doubts, so this match is likely to be far from straightforward for the Reds. Burnley’s record on the road, though, is notoriously poor — they have picked up just two points from 13 matches on their travels, though they did get a point at Hull recently and would have done likewise at Swansea in their most recent game were it not for a last-gasp Fernando Llorente goal. So Liverpool will rightly go into the game as favourites, though a draw at 5/1 represents very good value given how inconsistent and unreliable Jurgen Klopp’s side have been throughout the season. Under Paul Clement, Swansea have enjoyed a substantial boost. Having looked dead certs to go down at one point, a mixture of clever January signings and astute tactics mean the Welsh side are now five points clear of the relegation zone. One of the main reasons for their recent success has been the form of Spanish striker Fernando Llorente. The 32-year-old forward has impressed since joining from Sevilla in the summer, scoring 11 goals, including three in his last two matches. And Llorente’s excellent recent form may well continue against a Hull side who have the second-worst defensive record in the Premier League — only the Swans have conceded more. Email “5 Premier League and FA Cup bets to consider this weekend”. 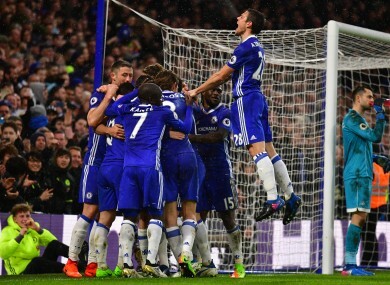 Feedback on “5 Premier League and FA Cup bets to consider this weekend”.